Nicotine, obtained from tobacco leaves, has been used to promote the cessation of smoking and reduce the risk of OPD and lung cancer. 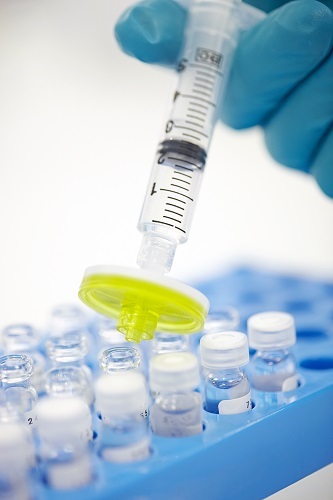 Incorporating the active in lipid nanoparticles is an effective tool to minimize its irritation potential and to use the particles as intermediate to produce final products. However, as a hydrophilic active, it is a challenge to prepare nicotine loaded lipid nanoparticles with high drug loading. In this study, lipiddrug-conjugates (LDC) were formed by nicotine and different fatty acids to enable the production of sufficiently loaded nicotine lipid nanoparticles. The encapsulation efficiency of nicotine in LDC-containing SLN was about 50%, which increased at least fourfold compared to the non-LDC formulations (around 10%) due to the increased lipophilicity of nicotine by strong interactions between positively charged nicotine and negatively charged fatty acids (formation of LDCs). The z-average of all formulations (150–350 nm) proved to be in the required submicron size range with a narrow size distribution. In summary, nicotine loaded LDC lipid nanoparticles with high drug loading were successfully developed with Kolliwax® S and stearic acid as counter-ion forming the LDC and hydrogenated sunflower oil (HSO) as lipid particle matrix.The study was carried out in collaboration with Rainer H. Müller and Sung Min Pyo from Free University of Berlin. Lipid-drug-conjugate (LDC) solid lipid nanoparticles (SLN) for the delivery of nicotine to the oral cavity – Optimization of nicotine loading efficiency. Nicotine replacement therapy (NRT) is used to aid smoking cessation. Due to high first pass meta-bolism of nicotine, the oral route of administration is not preferred. In oromucosal drug delivery the drug is absorbed from the oral cavity, thereby circumventing the hepatic first pass metabolism and the acid and enzymes in the gastrointestinal tract. To improve efficacy of NRT and to decrease adverse effects associated with swallowed nicotine, increased nicotine permeability across the oral mucosa is desired. In this thesis the location of the buccal barrier to nicotine permeability was investigated, and permeation enhancement with chemical permeation enhancers was studied. Initially, the storage and treatment of excised tissue was evaluated to ensure the validity of succeeding experiments. The effect of freezing and heating porcine buccal on permeability barriers to nicotine was studied. The permeability of nicotine across mucin dispersions and across porcine buccal mucosa was studied, and the effect of chemical permeation enhancers was assessed. Several methods were employed; ex vivo permeability models (modified Ussing chambers), in vitro permeability models (filter-grown TR146 cells) and imaging of the spatial distribution of nicotine in porcine buccal mucosa when administered with or without permeation enhancers using matrix-assisted laser desorption ionization (MALDI) mass spectrometry (MS) imaging. The studies showed that porcine buccal mucosa could be stored with cryoprotectants at -80 °C, without compromising the permeability barriers. Furthermore, it was confirmed that buccal epithelium could be separated from the underlying connective tissue after exposure to 60 °C, without damaging the epithelium. Human freeze-dried saliva appeared to be a more suitable source of mucin for mimicking the oral mucus layer, compared to porcine gastric mucin. The permeability studies across mucin dispersions, and across TR146 cells and porcine buccal mucosa incubated with mucin, revealed that the mucin dispersions did not comprise a significant barrier to diffusion of nicotine. 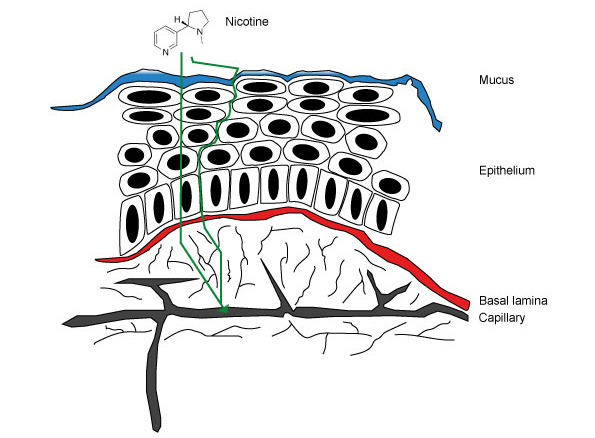 The main permeability barrier to nicotine was found to be located in the outer cell layers of the epithelium. Unfortunately, the tested permeation enhancers (sodium taurodeoxycholate, sodium dodecyl sulfate, dimethyl sulfoxide and Azone®) did not increase nicotine permeability, even when mannitol permeability was increased. MALDI MS imaging correlated well with the obtained permeability result, proving to be a valuable qualitative method for visualization of drug distribution in tissue. This project has provided insight to the location of the main permeability barrier to nicotine. Furthermore, the methods employed in this thesis can be utilized for evaluation of future drug molecules of interest. The thesis was submitted to the Graduate School of the Faculty of Health and Medical Sciences, University of Copenhagen and the thesis was defended November 30th 2017. Purpose The purpose of this study was to assess the effect of several chemical permeation enhancers on the buccal permeability of nicotine and to image the spatial distribution of nicotine in buccal mucosa with and without buccal permeation enhancers. Methods The impact of sodium taurodeoxycholate (STDC), sodium dodecyl sulphate (SDS), dimethyl sulfoxide (DMSO) and Azone® on the permeability of [3H]-nicotine and [14C]- mannitol (a paracellular marker) across porcine buccal mucosa was studied ex vivo in modified Ussing chambers. The distribution of nicotine, mannitol and permeation enhancers was imaged using matrix-assisted laser desorption ionization mass spectrometry imaging (MALDI MSI). Results Despite STDC significantly increasing permeability of [14C]-mannitol, no enhancing effect was seen on [3H]-nicotine permeability with any of the permeation enhancers. Rather, SDS and DMSO retarded nicotine permeability, likely due to nicotine being retained in the donor compartment. The permeability results were complemented by the spatial distribution of nicotine and mannitol determined with MALDI MSI. Conclusions The buccal permeability of nicotine was affected in an enhancer specific manner, suggesting that nicotine primarily diffuses via the transcellular pathway. MALDI MSI was shown to complement ex vivo permeability studies and to be a useful qualitative tool for visualizing drug and penetration enhancer distribution in buccal mucosa. The study was carried out in collaboration with Eva Marxen, Liang Jin, Jette Jacobsen, Christian Janfelt, and Joseph A. Nicolazzo from Department of Pharmacy, Faculty of Health and Medical Sciences, University of Copenhagen and Drug Delivery, Disposition and Dynamics, Monash Institute of Pharmaceutical Sciences, Monash University. An ongoing master project (2016/2017) performed at the department of Biomedicine at Aarhus University in collaboration with Fertin Pharma. Main supervisor: associate professor Agnete Larsen. The aim is to investigate the feasibility of rodent models in studies of in vivo uptake of pharmaceutical compounds using nicotine as a test drug, alone and in combination with selected adjuvants. Uptake of pharmaceutical compounds via the oral mucosa allows for a fast uptake of pharmaceuticals limiting the initial drug metabolism seen with drug absorption via the gastro-intestinal system. Rodent models are excellent for systematic studies of drug delivery and pharmacokinetics; however, the experience with the use of rats and mice for studies of oral drug uptake is currently limited. Histological studies indicate that differences exist between humans and other species with regards to mucosal thickness and keratinization levels. The oral mucosa from pigs is often been used in vitro studies. As the porcine oral cavity resembles the human one by being partly keratinized all though being somewhat thicker. The oral mucosa of the rat is on the other hand thinner than the human one but more keratinized, however with a presence of mucus glands similar to other species. Using radioactively marked nicotine, this project will investigate if the morphology of the rat oral mucosa is sufficiently similar to the human counterpart to allow uptake of nicotine alone and in combination with selected adjuvants. In addition, comparative studies between rats and young piglets will be performed in order to clarify the physiological relevance of species´ related morphological differences in the oral mucosa. NSC will participate in the 23rd Annual Meeting of SRNT, which will be held in Florence, Italy from March 8th through March 11th 2017. The mission of SRNT is to stimulate the generation of new knowledge concerning nicotine in all its manifestations and to be a resource of expert advice on nicotine and tobacco issues to legislative, regulatory, and public agencies. At the annual meeting, leading researchers on nicotine and tobacco will discuss various issues. At the Annual Meeting, Program Manager of NSC, Kent Albin Nielsen, PhD, will present results from the research conducted in collaboration with Lars Arendt-Nielsen, professor, and Shellie A. Boudreau, associate professor from Aalborg University, Denmark. The research aims to identify the basic mechanisms in the mouth cavity leading to pain, sensitization and vasomotor responses initiated by intake of nicotine from NRT products. Title of the presentation is "Increased sensitivity and ability to differentiate nicotine dose is evident in smoking but not non-smoking populations." To learn more about the conference, follow this link . On November 8, NSC held a Scientific Advisory Board (SAB) meeting at Fertin Pharma in Vejle, Denmark. The meeting was attended by board members M.D. PhD Philip Tønnesen (Chairman of board), Professor Andreas Bernkop-Schnürch (board member) from Innsbruck University, Professor Rainer Helmut Müller (board member) from Freie Universität Berlin and by specialists, directors and vice presidents from Fertin Pharma A/S. The meeting was chaired by M.D. PhD Philip Tønnesen, and VP Lene F. Lind gave the opening welcome. This was followed by presentations on topics such as: new nicotine delivery systems, rapid and sustained absorption of nicotine, increased consumer understanding, and decreased adverse events. The board members expressed their opinions on the presented topic and important scientific progress was made during the meeting narrowing down the crucial requirements to be achieved for the next generation of Nicotine Replacement Therapy (NRT) products. The next SAB meeting is scheduled to take place spring 2017. Cinnamaldehyde and nicotine activate the transient receptor potential subtype A1 (TRPA1) channel, which may cause burning sensations. This study investigated whether cinnamaldehyde modulates nicotine-induced psychophysical and physiological responses in oral tissues. Healthy non-smokers (n = 22) received, in a randomized, double-blind, crossover design, three different gums containing 4 mg of nicotine, 20 mg of cinnamaldehyde, or a combination thereof. The results interestingly showed that half of the subjects responded to cinnamaldehyde as an irritant, and these cinnamaldehyde responders reported greater nicotine-induced pain/irritation areas in the throat. Whether sensitivity to cinnamaldehyde can predict the response to nicotine-induced oral irritation remains to be determined. The study was carried out in collaboration with Lars Arendt-Nielsen and Shellie A. Boudreau from University of Aalborg. ​In 2014, Fertin’s newly established Nicotine Science Center entered a co-operation with scientists and students at Aalborg University. The focus of the co-operation is to develop a sensor testplatform that are able to characterize the sensory profile experienced, when chewing nicotine chewing gum combined with other flavors. This has so far led to several sub-projects carried out as student and research scientist based development projects. Fertin Pharma has placed several activities in northern Jutland in order to gain access to their particular competences for the future business development of the company. The co-operation has given students an opportunity to obtain relevant experience from a study related job. In connection with smoking cessation nicotine substitution products, eg. Nicotine gum, are becoming increasingly popular. The use of nicotine substitution products often causes an irritation, described as a burning pain sensation in the oral cavity and throat. This phenomenon is caused by the nicotine which activates the pain sensors in the oral cavity and throat. Various flavors (chilli; menthol; cinnamon etc.) that also interact with the pain sensors are being analyzed to determine, whether some of these flavors may reduce the burning sensation caused by nicotine. This knowledge may be used to develop new and improved gum based smoking cessation products, representing substantial benefits to the individual person who wants to quit smoking, but also to society in general as it will further the decline of smoke related diseases. The conference and the accompanying exhibition ResearchPharm® are intended to provide a cross-disciplinary platform for pharmaceutical scientists working in all fields of drug product development in industry, academia and regulatory bodies. Focus areas: the latest trends and products in the area of pharmaceutical ingredients, developing and processing equipment, analytical technologies, medicinal products, medical devices, contract manufacturing and recent publications. ​A recent PhD project conducted at the Technical University of Denmark in collaboration with Fertin Pharma investigated the possibility of improving iron absorption using chewing gum. Iron deficiency is the most important nutritional deficiency worldwide, especially among children and women of the childbearing age. Cereals, being a major staple food globally, often contain significant amounts of iron, which is, however, poorly bioavailable with low absorption in the range of 2-3 %. This is due to high amounts of the iron absorption inhibitor phytic acid, which binds iron and makes it unavailable for uptake in the gastrointestinal tract. By providing a phytase, an enzyme that catalyses the degradation of phytic acid and in turn releases iron, iron absorption can be improved significantly. This phytase may be added to a meal, used as a food pretreatment aid or – as investigated in this project – be delivered to the stomach after consumption of a cereal meal, thus inferring that the enzyme catalysis takes place directly in the human body. Five different commercially available phytases were compared with regard to their stability in the harsh stomach conditions and two were found to be virtually stable during standard retention times. Under gastric conditions, these two phytases degraded phytic acid in wheat bran, rice bran and sorghum, which were used as model meals. In turn, solubility and thus bioavailability of iron from these three cereals were significantly improved with phytase catalysis. Finally, a compressed chewing gum system was used to evaluate the stability of the phytase in a chewing gum and the release upon chewing. 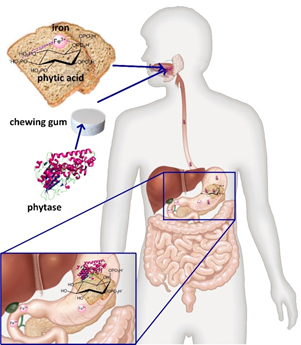 Simulated chewing of phytase-containing chewing gum showed fast release (within 2 min) of the enzyme to the simulated saliva and good retention of activity. Upon swallowing of the saliva, the phytase is transported to the stomach, where catalysis will occur. Finally, a 1½-month shelf life study showed good stability of the phytase in the chewing gum. In conclusion, chewing gum is considered a promising vehicle for phytase to improve iron nutrition from cereal meals. A joint Ph.D. study has been initiated in collaboration with researcher from University of Southern Denmark. ​Aim of the project: To investigate the binding mechanisms/kinetics between Nicotine and selected ion-exchange resins in order to reveal the eventual impact of formulation designs on the thermodynamic mechanisms governing the respective equilibrium constant. Also, loading- and release-profiles will be investigated. The obtained data will, hopefully, elucidate parameters relevant when optimizing such sustained release formulations in an attempt to produce an adequate kinetic profile of a given API, together with a predictable and reproducible formulation design with respect to loading-dose and dissolution/solubility profile of the drug-substance. Eva Marxen from KU will present results at American Association of Pharmaceutical Sciences Annual Meeting and Exposition in Orlando, Florida. ​​Title of poster: Do Freeze Protectants Affect the Integrity of Permeability Barriers in Porcine Buccal Mucosa? Presenter: Eva Marxen from University of Copenhagen (KU), Denmark​. Porcine buccal mucosa is typically used in studies to predict permeability of drug candidates, such as nicotine. When studying drug diffusion across buccal mucosa the integrity of the permeability barriers is important. However, not much is known about the effect of storage conditions on the permeability barriers. The aim of this study was to determine whether permeability barriers for drugs (nicotine and diazepam) across porcine buccal mucosa were preserved after freezing (and thawing) with freeze protectants. This knowledge can help determine storage conditions of porcine buccal mucosa for future experiments. It was concluded that all of the studied freeze protectants did preserve the integrity of the permeability barriers for nicotine and diazepam. ​​​The Nicotine Science Center’s first joint discovery has been published in the internationally recognized journal, Nicotine & Tobacco Research. The discovery shows that, the flavoring agent, menthol, significantly reduces the irritation that is often experienced when chewing nicotine gum. The study was carried out as a double-blinded, placebo-controlled, randomized, cross-over study in collaboration with Lars Arendt-Nielsen and Shellie A. Boudreau from University of Aalborg. NSC will present resent results at the Controlled Release Society, which will be held in Edinburg from July 26th through July 29th. ​CRS is an international hub for translational science, product development and regulatory issues related to delivery science and technology. Delivery science and technology are used by a diverse range of industries to produce new products with enhanced performance. At the summit, Program Manager, Kent Albin Nielsen, will be giving a presentation with the title Chewing Gum with a Built-in Trigger Mechanism for Drug Delivery. To learn more about the conference, follow this link. Scientists at Copenhagen University have researched the immediate reaction in the brain after you quit smoking. 12 hours after your goodbye to tobacco the oxygen uptake and blood flow decrease substantially. This may explain why it is so difficult to quit nicotine. The results are published in Journal of Cerebral Blood Flow & Metabolism. Smoking is known to be bad for most things. Cancer, cardiovascular disease and strokes are just a small part of smoking’s serious and well documented side effects. NSC will participate in the 6th Global Drug Delivery & Formulation Summit, which will be held in Düsseldorf from February 9th through February 11th. The Global Drug Delivery & Formulation Summit attracts leading drug delivery and formulation professionals from across Europe. At the meeting, leading researchers on drug delivery and formulation will meet to examine the latest technological developments and strategic advancements affecting the industry. At the summit, Senior Principal Scientist, Bruno Provstgaard Nielsen, will give a talk with the title Innovative compressed bi-layer chewing gum technology for delivery of active pharmaceutical ingredients. Two case stories will be presented: Immediate release of nicotine from bi-layer gum for smoking cessation and fast heartburn relief and fresh breath with antacid bi-layer gum. To learn more about the conference, follow this link​. NSC will participate in the 21st Annual Meeting of SRNT, which will be held in Philadelphia from February 25th through February 28th. The mission of SRNT is to stimulate the generation of new knowledge concerning nicotine in all its manifestations and to be a resource of expert advice on nicotine and tobacco issues to legislative, regulatory, and public agencies. At the annual meeting, leading researchers on nicotine and tobacco will discuss various issues, including: The current knowledge about the e-cigarette, Individual differences in nicotine/tobacco addiction, Biomarkers of nicotine intake and metabolism. NSC will participate in the APV workshop ODx and MBx - Orodispersible and Mucoadhesive Buccal Formulations, which will be held in Innsbruck, Austria from January 29th through January 30th. Taste is often confused with somatosensory sensations such as the cool of menthol or the heat from a chili pepper. These substances can reduce or enhance the sensitivity of the sensory cells in the mouth, similar to the experience that drinking cold water after chewing menthol gum makes the water feel much colder, or even painful. Research has shown that nicotine, delivered in gum form, results in a burning sensation in the mouth. However there is little knowledge of the mechanisms and which sensory cells are involved in this burning sensation and long-term altered sensitivity between smokers and non-smokers. This projects aims to investigate some of the mechanisms that underlie the effects of nicotine on the sensory cells in the mouth and explore the combined effect of nicotine with other substances that are known to enhance or reduce the sensitivity of the sensory cells in these tissues. The research is divided into three parts (1) differing concentrations of nicotine, (2) repeated applications of nicotine, and (3) the interaction of nicotine with other substances. 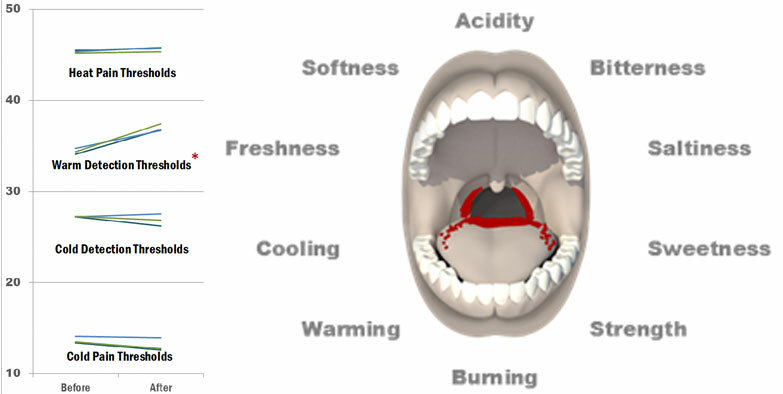 Standardized measurement techniques are used to assess changes in response to nicotine and the combination effects with other substances in the mouth. The research is performed with healthy and male and female smokers and non-smokers. Individuals who are currently smoking are investigated to gain a better understanding of the long-term effects of nicotine on the sensory system in the mouth. Changes in somatosensory sensations and taste in response to nicotine as assessed on the oral tissues. The agenda for the Scientific Advisory Board (SAB) meeting 28-29th October focused on expanding Fertin Pharma's fundamental understanding of nicotine, covering topics such as: oral mucosal absorption of nicotine, new delivery systems, consumer surveys and medication adherence. Two external capacities participated in the SAB meeting; Associate professor Jette Jacobsen from the Department of Pharmacy, University of Copenhagen and Assistant professor Shellie A. Boudreau from the Department of Health Science and Technology, Aalborg University. Jette Jacobsen is an expert on drug delivery in the oral cavity and the intestinal (lymphatic) system and Shellie A. Boudreau is an expert oral neurophysiology of sensory and motor systems. Their involvement and expertise gave a superior dimension to the discussion of the fundamental challenges and opportunities Fertin Pharma is facing with its new research initiatives. Photo shows the three board members. 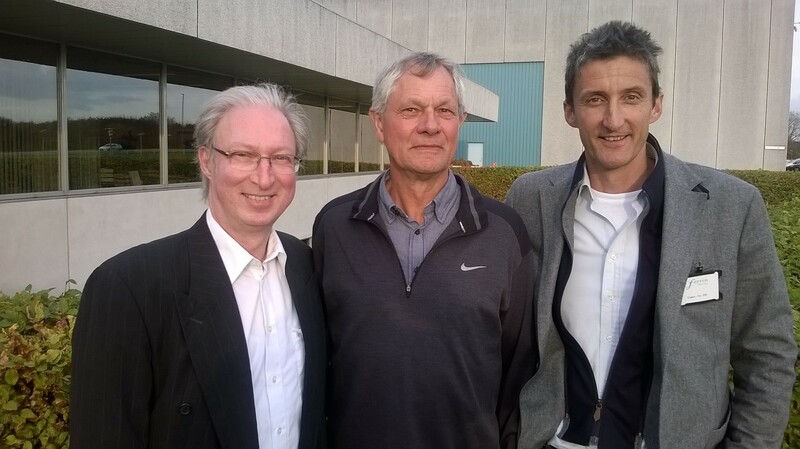 From the left: Rainer H Müller, Professor Dr., Philip Tønnesen, MD, Dr Med Sci., and Andreas Bernkop-Schnürch Univ.-Prof. Mag. pharm. Dr. rer. nat. The Nicotine Science Center takes advice from a Scientific Advisory Board of leading researchers, who contribute with key insights within the research areas of interest. Rainer H. Müller is one of three members of the Scientific Advisory Board. He is Professor at the Free University of Berlin/Germany, research group "Pharmaceutics, Pharmaceutical Nanotechnology & NutriCosmetics". Rainer Müller is the inventor of 20 patent families, the author of about 400 research- and review articles, editor/author of 20 books, 70 book chapters and about 1,000 conference contributions in the drug delivery field. He is the founder of the company PharmaSol GmbH Berlin, and he has introduced various delivery systems successfully on the market with his company (e.g. smartCrystals® into products by Juvena Switzerland (line JUVEDICAL) and la prairie (e.g. platinum rare), and NLC® to the US and Asian market (e.g. AmorePacific, cosmetic market leader in South Korea). Why did you agree to become a member of the Scientific Advisory Board? I have experience with the development of innovative "smart" delivery systems. My research is product orientated, transferring new scientific insights into products for the benefit of the consumer and the patients. Fertin Pharma is a fast moving company, and thus - by being on the Scientific Advisory Board – my experience with delivery systems might catalyze the discovery of the next generation of NRT products. NRT will continue to be an important public health issue over the next decades! Reducing smoking will continue to play a major role in improving health (reducing costs in the health service sector). The key role of the future is the development of better systems for NRT, to continue the progress achieved so far with today´s NRT products. To develop the NRT products of the next generation it is necessary to fuse the knowledge of very different disciplines, being realized by the composition of the "Scientific Advisory Board". New and very important scientific progress is made during these multidisciplinary meetings. Based on many years of research into NRT and related products Fertin is a market leader in this field. However, like other companies Fertin has mainly concentrated on the internal side of product developments. The Nicotine Science Center with its expertise from the Advisory Board and co-operating scientists will result in a whole new scope for the scientific exploration into nicotine leading to new and improved products within the field of NRT produced by Fertin Pharma. Based on the activities in the Nicotine Science Center I am expecting a new and superior class of NRT products to be available on the market in about 2-4 years. ​On August 1. 2014, a new PhD-project was launched within the NSC, in collaboration with the University of Copenhagen. The hypothesis of the project is, that by using high-resolution MALDI mass spectrometry imaging (MALDI-MS) or cryosectioning it is possible to elucidate the position and character of the permeability barrier to nicotine. The aim is to find ways to increase the fraction of nicotine absorbed in the oral cavity and to increase the rate of absorption in order to increase efficacy and decrease gastrointestinal adverse effects of nicotine replacement therapy (NRT) products. The project is led by cand. pharm. Eva Marxen (28), a native of Denmark and a graduate of the Faculty of Health and Medical Sciences at the University of Copenhagen. Andreas Bernkop-Schnürch (Mag. pharm. Dr. rer. nat.) is one of three members of the Scientific Advisory Board. He is Professor and Head of the Institute of Pharmacy at the University of Innsbruck, and the author of more than 250 research- and review articles in the drug delivery field. We met him for a Q&A-session before a meeting in the Scientific Advisory Board. "The merge between academic research and industrial product developments is always exciting and highly inspiring for both sides"
Why is Nicotine Replacement Therapy important for public health? "Cigarette smoking is responsible for various cancers and health problems including lung disease, heart and blood vessel disease, stroke and cataracts. Helping people to quit smoking via NRT is likely to be the most important strategy"
​What is the typical outcome of the meetings in the Scientific Advisory Board? "During each meeting we discuss and evaluate pros and cons of already existing technologies. Based on this process these technologies are further improved and completely new concepts are established"
Which impact do you think the Nicotine Science Center will have on the future of Fertin Pharma and the NRT-area as a whole? "A research and development center focusing on nicotine only, is unique, and might open the door to radical improvement in the NRT-area, where Fertin Pharma is a key contributor"
What are the future perspectives? "Within the years to come NRT will be strongly improved and new NRT will be generated"
You can read more about Mr. Bernkop-Schnürch's research and review articles, by following this link. NSC will participate in the 15th Annual Meeting of SRNT Europe, which will be held in Santiago de Compostela from September 18th through September 20th. The SRNT Europe is the European branch of the Society for Research on Nicotine and Tobacco. At the Annual Meeting, Program Manager of the NSC, Kent Albin Nielsen, PhD, will present results from the research conducted in collaboration with Aalborg University. The research aims to identify the basic mechanisms in the mouth cavity leading to pain, sensitization and vasomotor responses initiated by intake of nicotine from NRT products. ​Below you can find the link to an article about Nicotine Science Center from the pharmaceutical web magazine MedWatch. The article is in Danish but you will also find an English translation below. ​The official opening of the Nicotine Science Center took place 2 May on the premises of Fertin Pharma in Vejle, Denmark. The opening was visited by leading scientists and politicians and among the speakers were Vice Chairman and former Tax Minister for the Liberal party, Kristian Jensen, and the Head of the Scientific Advisory Board of the Nicotine Science Center, M.D. Ph.D. Philip Tønnesen. Click here to read the press release for the opening. ​The Nicotine Science Center is honored to announce that the first Scientific Advisory Board of the Nicotine Science Center will consist of Mr. Philip Tønnesen, Dr. Med., Senior physician (Denmark), Mr. Andreas Bernkop-Schnürch, Professor, Head of Center for Chemistry and Biomedicine, University of Innsbruck (Austria) and Mr. Rainer H. Müller, Professor of Pharmaceutics, Freie Universität Berlin (Germany). 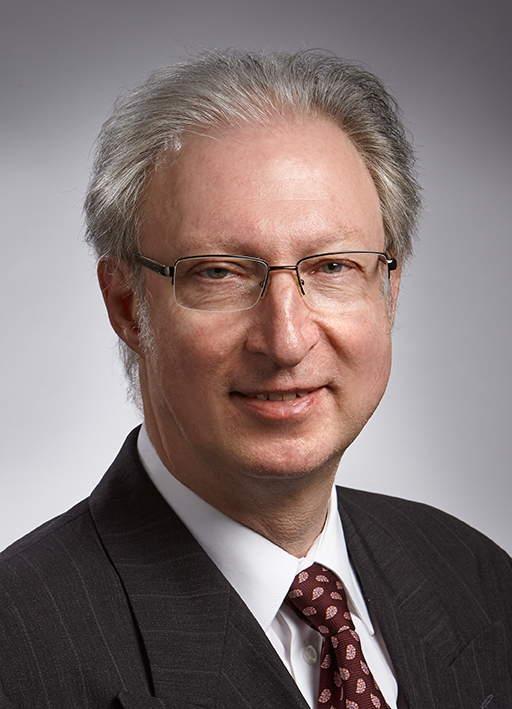 Click here to read more about the three members of the Scientific Advisory Board.